A subtle, elegant statement piece, Slytherin Stars is handwoven with a luxurious wool/bamboo blend. 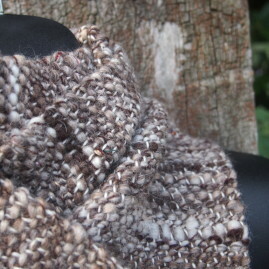 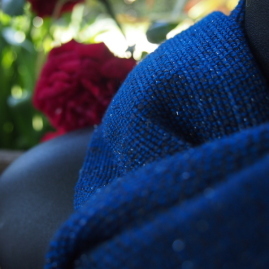 The bamboo gives the scarf a subtle lustre and a lovely drape. 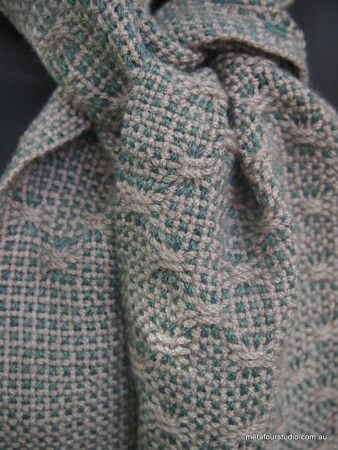 With a diamond spot lace pattern, this is a scarf that invites admiration. 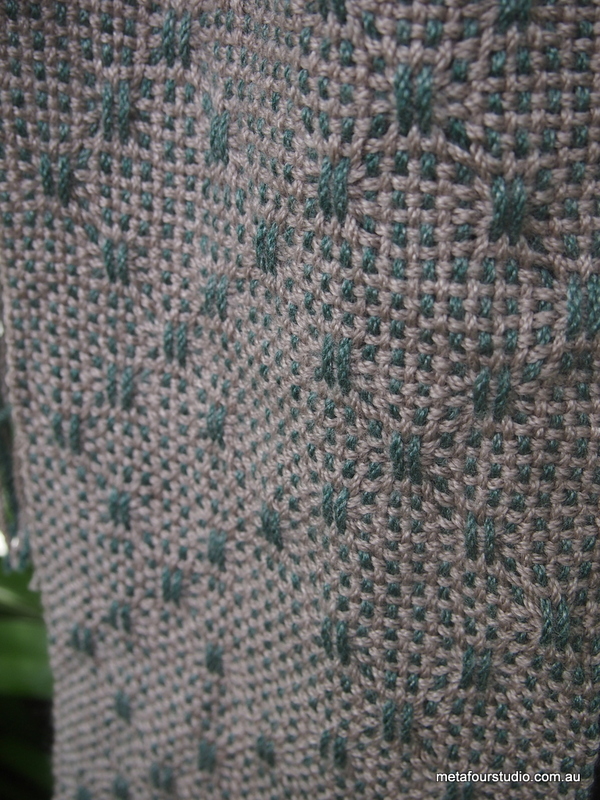 The spot lace pattern looks different depending on the side it is viewed from – one side shows silver horizontal floats, and the other shows jade green vertical ones. 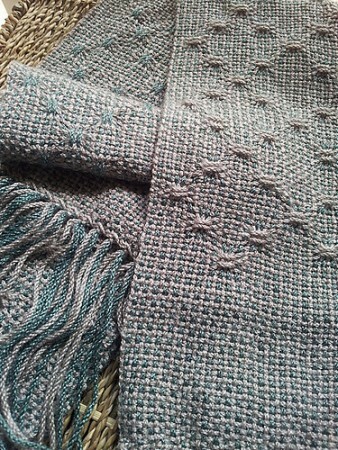 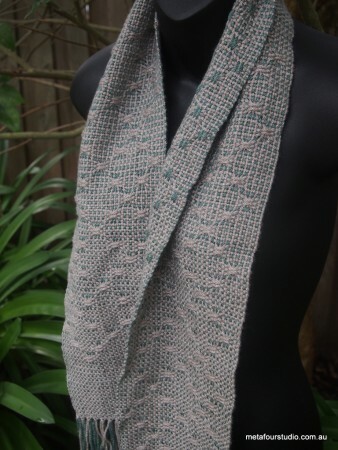 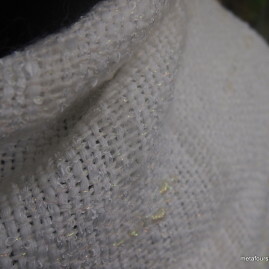 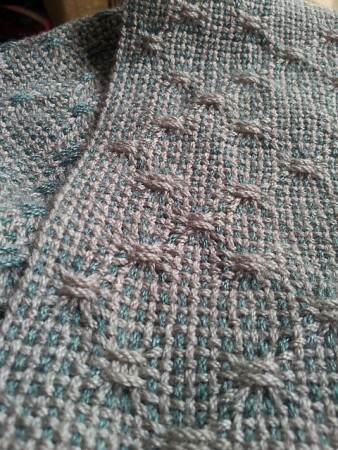 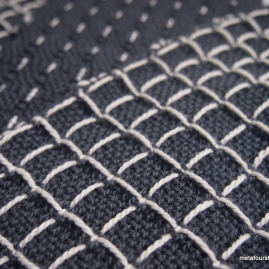 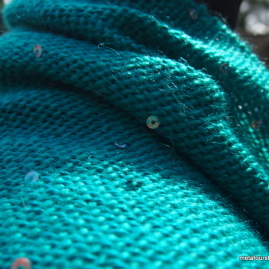 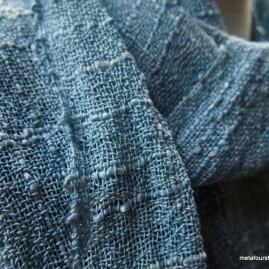 Detail: Handwoven scarf in silver and green, with diamond spot lace pattern. 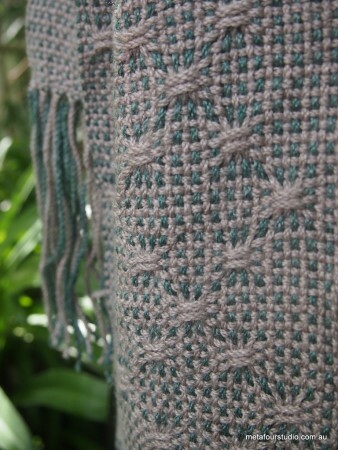 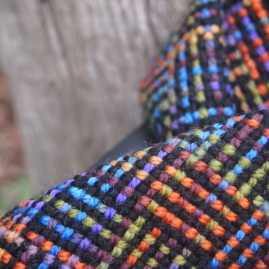 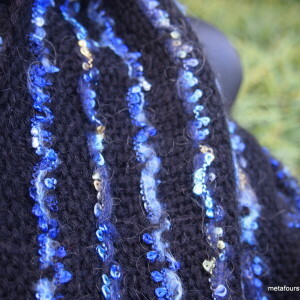 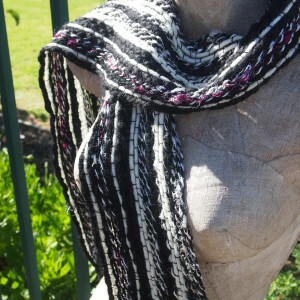 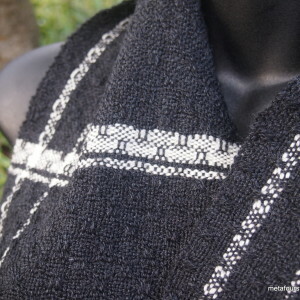 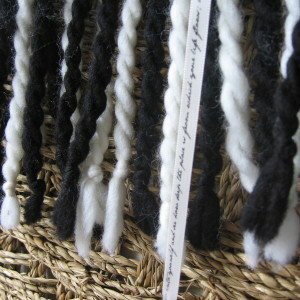 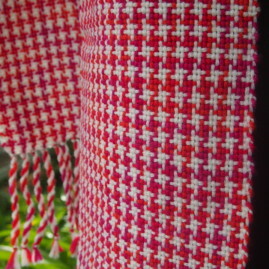 Availability: This pattern can be custom handwoven in a number of colour and fibre combinations.